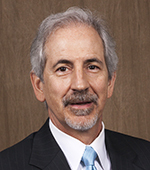 Victor Bird has been the Director of the Oklahoma Aeronautics Commission since December 2002. Under his leadership, the Commission has partnered with the Federal Aviation Administration to improve the state’s airport planning process, becoming a model for other states around the country. Bird earned his juris doctorate and bachelor’s degree from The University of Tulsa. At any given moment, there are about 61,000 people airborne over the mainland United States. At Chicago-O’Hare Airport, one of the world’s busiest, planes take off or land every 37 seconds. More than 29,000 flights operate from the U.S. alone every day. Of $66 Million received in Oklahoma since FY2003, $55 Million has been invested in airport infrastructure! In the last 5 years, more than $25 Million has been spent on airport projects!